You are asking Rush chicks in a Geddy is Hot thread to look at something other than Ged? many humble apologies to all Rush Chicks....I thought it was just a Ged-thread It will NEVER...EEEEEEVER....HAPPEN A-GAIN!! I wanna start a band called Ged Zeppelin....okayokay...I'm gone! let's keep this on the down-low okai? I like it when guys post on the Geddy's Hot thread. but noticing a button? I don't tink so. A button? There was a button? Don't laugh, my mom made this sweater for me. 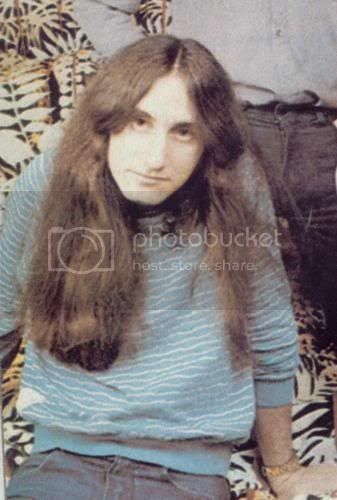 Geddy & i were wearing the same kind of belt at the KSC show i was at. 2" black leather with silver studs.